There are many factors that will impact the data centre space in the near future, and APC by Schneider Electric wants to lead its channel, ahead of the curve, so that they collectively benefit from the changes facing the industry. APC by Schneider Electric Pacific zone president and managing director, Gareth O’Reilly, said urbanisation, digitisation, and industrialisation are the three major trends that will cause changes in the industry. He was speaking at the Schneider Electric Innovation Summit 2017 in Sydney, on 9 May. O’Reilly said that with more than 2.5 billion people expected in cities globally by 2015 and 50 billion connected things by 2020, there would be an increase in energy consumption by about 50 per cent by 2050. “Associated with that, we’re going to see what we call Industry 4.0, a transformation of the industrial sector, with high-level automation transforming how we make and serve the goods that we use today. “A lot of our partners here care about innovation as much as we do and we want to share, how we together, can make this happen. We want customers to achieve their ambitions and behind that, are technologies that ensure life is on,” he said. According to O’Reilly, the rise of mobility, a transformation in cloud, the need for security, the transformation of AI and analytics, and the pervasive and ubiquitous capabilities of sensing are the factors behind these changes. As such, he explained that it has also resulted in the need for businesses to be more energy efficient. “The operating technology landscape of IoT, combining that with IT and OT, will result in energy and process. Combining the world of energy and automation is where we believe this untapped potential is,” he added. APC by Schneider Electric Pacific data centres general manager, Andrew Kirker, added that the data centre market is buoyant, but has challenges. He cited studies by IDC that found that these technologies will give rise to the need of 400 million servers by 2020. “We’re finding new apps and the volume of data all driving up energy consumption. There is also a greater dependency on IT in the market, as well as issues with energy security and pricing,” he said. In addition, Kirker mentioned that the ICT market, in 2016, faced a decline of 1.5 per cent, of which most was driven by a decline in hardware as software saw a rise of six per cent from the previous year. As for where workloads will be moving towards in the next 18 months, he said a study by Tech Research Asia in collaboration with the company found that on-premise will see a decline of 11.5 per cent, data centre services will grow by 20 per cent, and cloud services will see 9.7 per cent growth this year. Speaking of more granular trends, he said businesses should change the way they look at availability. “A lot of IoT data is being used at the edge, so we need to focus on the system performance, employees on site in terms of numbers, and functions as if they are not IT intensive, then the availability can be lower,” Kirker said. “We must start to think about IT loads and prepare for a complicated hybrid data centre environment. With a holistic approach, taking the best connected products with the right strategies, control of analytics and services, will be the way to get the gains that we need to take us forward,” he said. 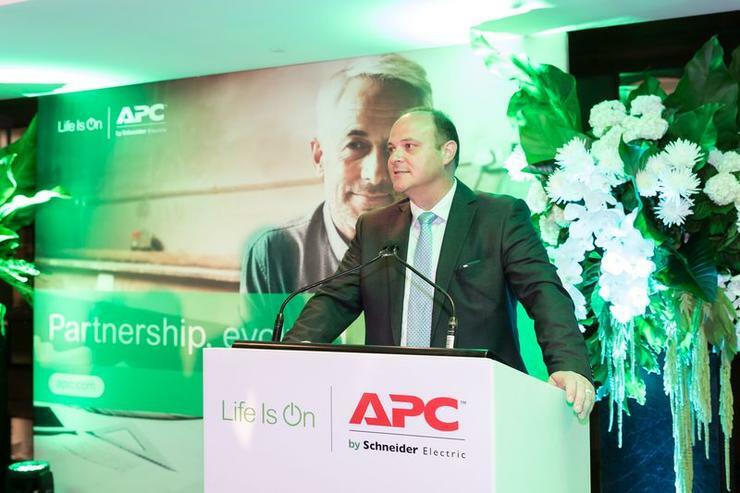 APC by Schneider Electric Pacific IT business and strategic customers and segments vice-president, Joe Craparotta, who also spoke at the event, said as a result of these opportunities, the company will be focusing on five key innovation principles. These include customer insights, quality of engagements, simplicity in the way it will be solving complex issues, a greater ecosystem of choice, and the move towards digital. “The mindset is really important when it comes to an innovation question. We are a channel focused company and want to continue supporting your businesses. It’s been a decade since Schneider Electric acquired APC and that has increased our relevance in the marketplace. “The question now that you partners should be asking yourselves, when reflecting on innovation, is what it means to you because it would affect the data centre of the future; are you innovating to keep up, or keep ahead?” he mentioned.